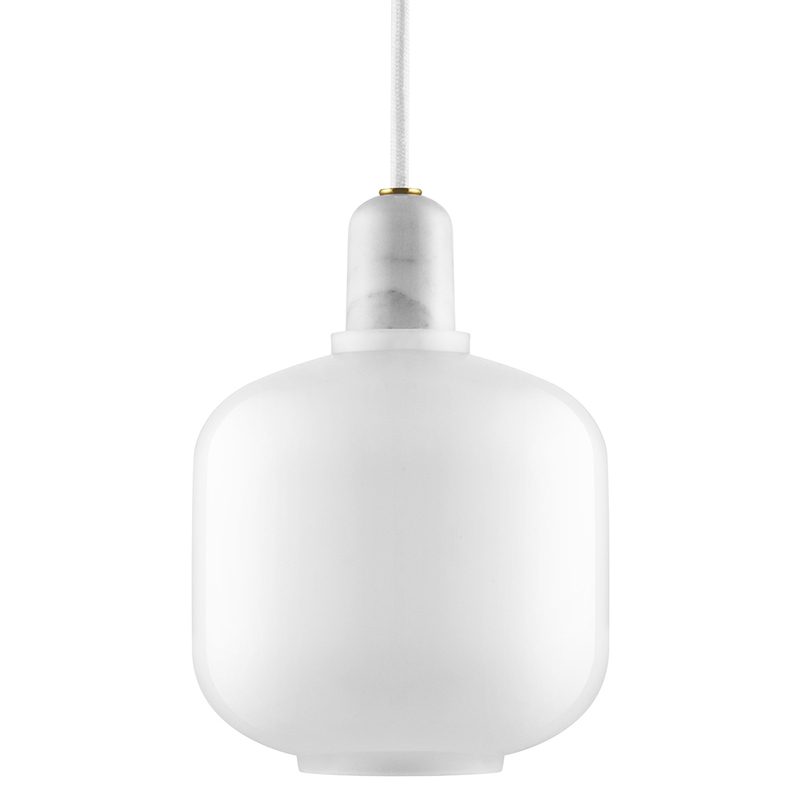 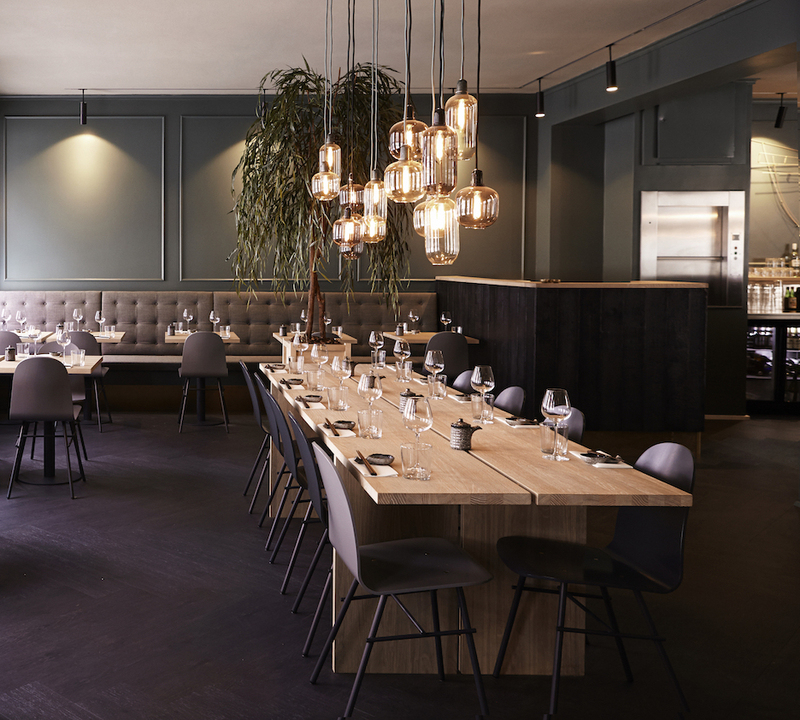 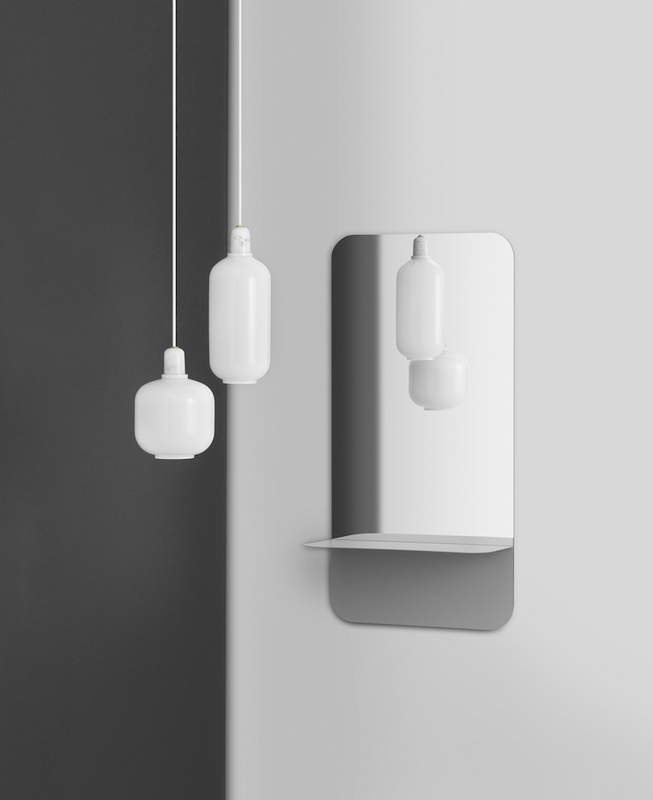 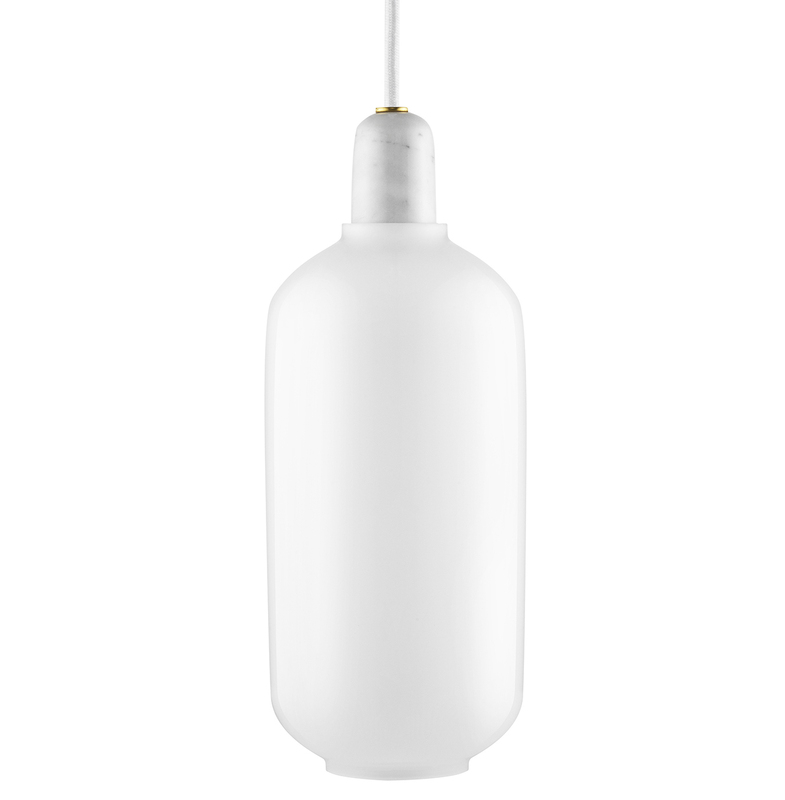 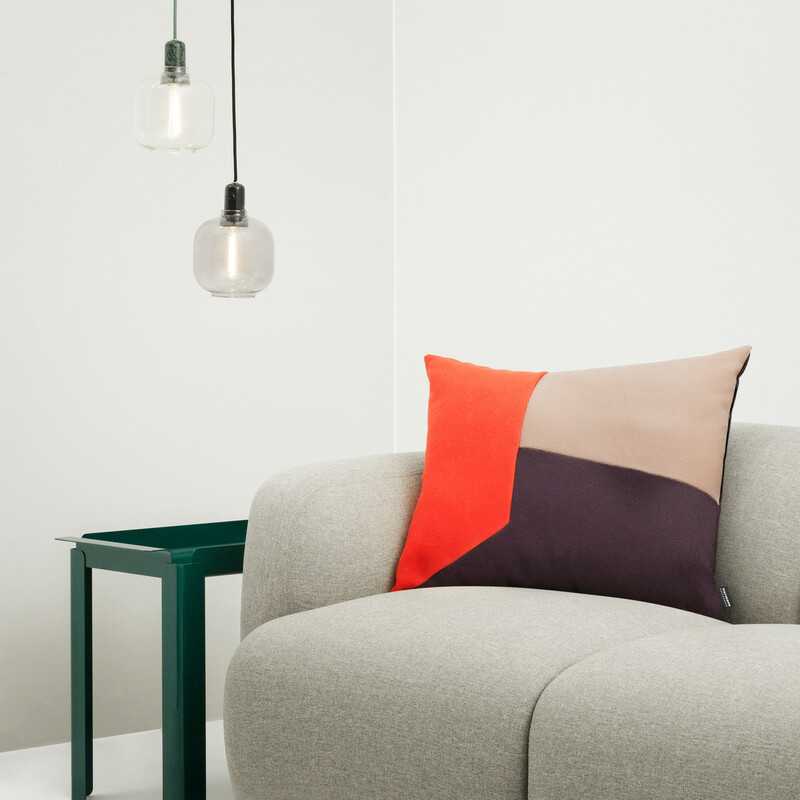 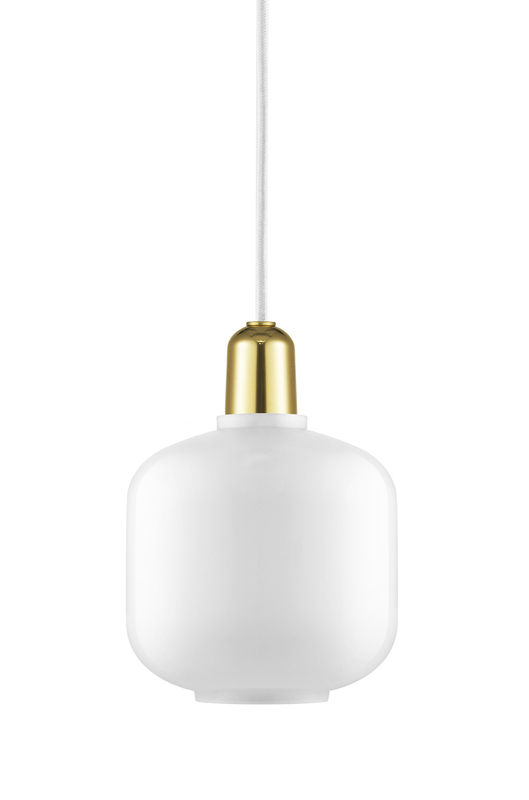 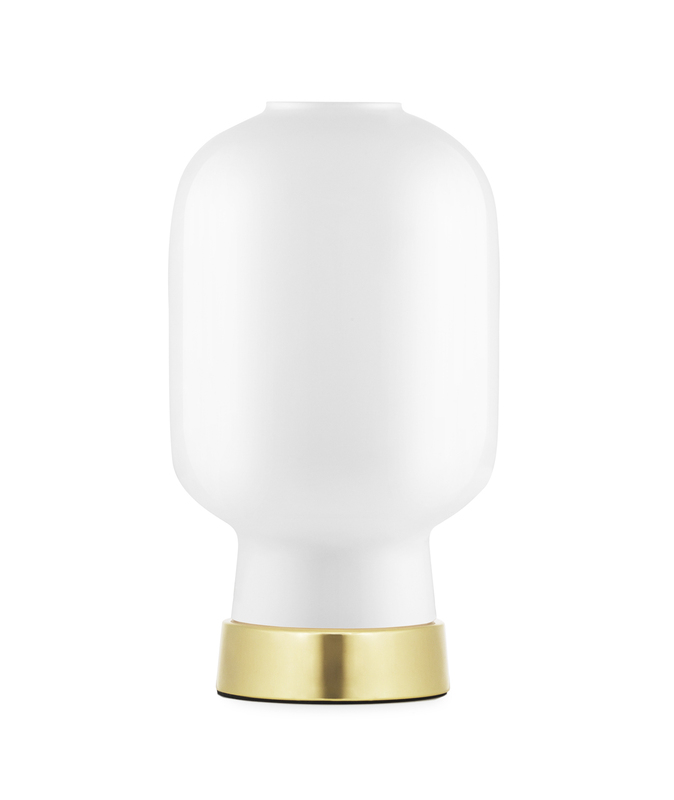 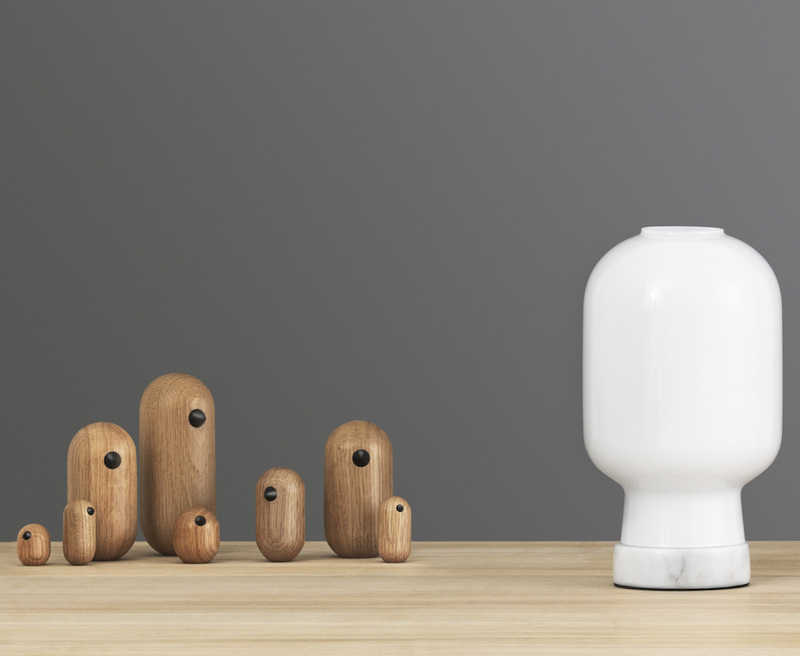 Amp is a series of table & pendant lamps designed by Simon Legald for Normann Copenhagen. 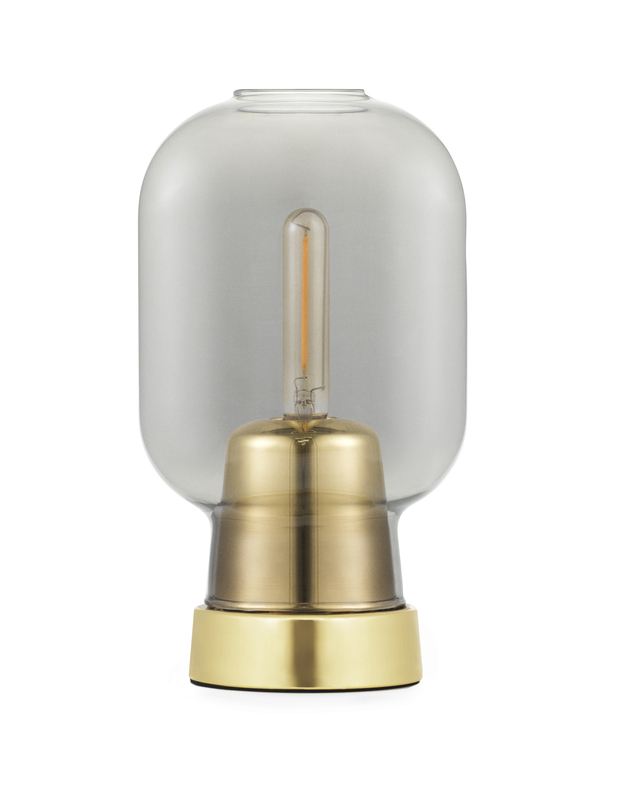 They are inspired by old tube amplifiers from the 1960s. 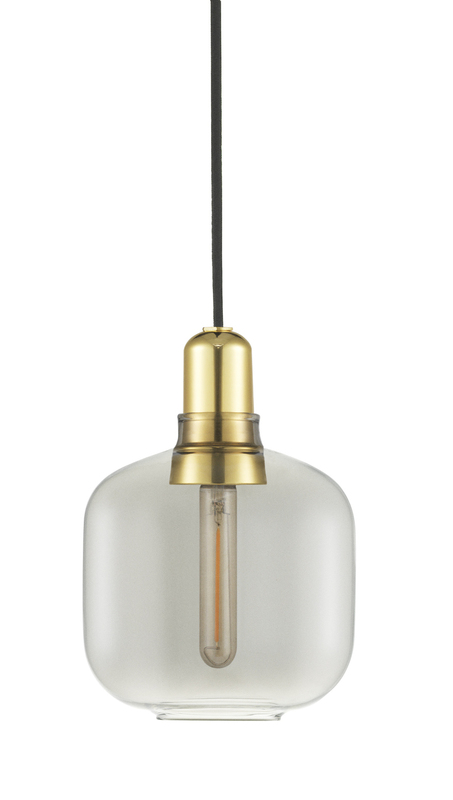 The unique shapes and classic materials of marble and glass add a nostalgic and at the same time, contemporary feel to the Amp collection. 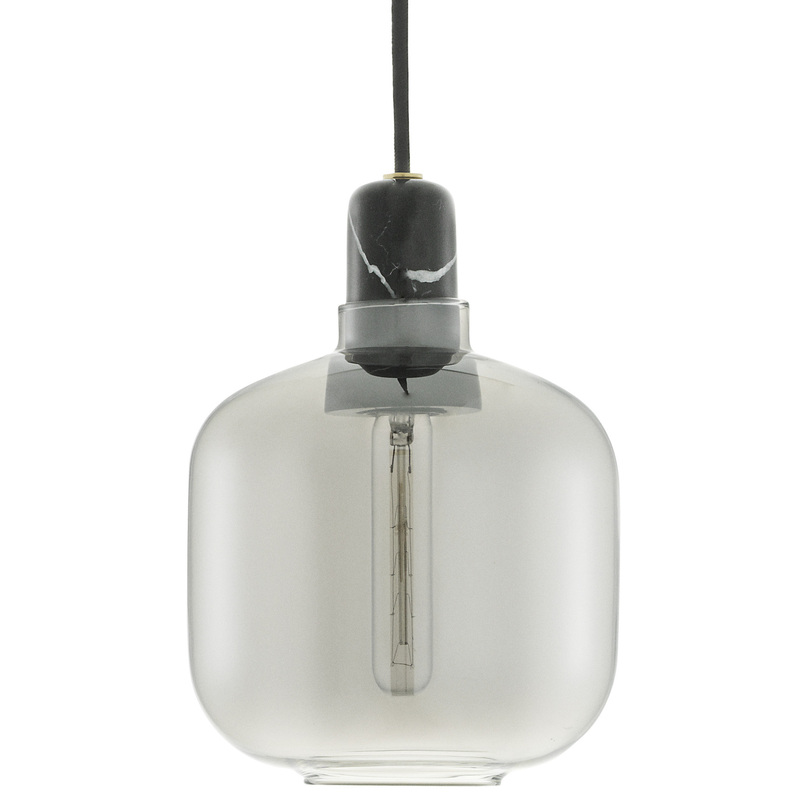 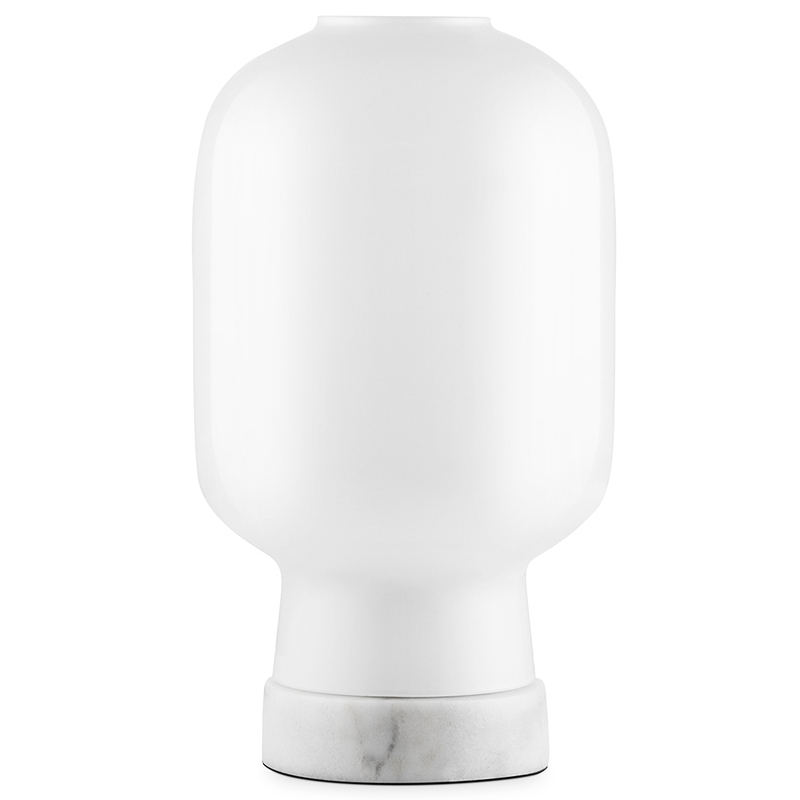 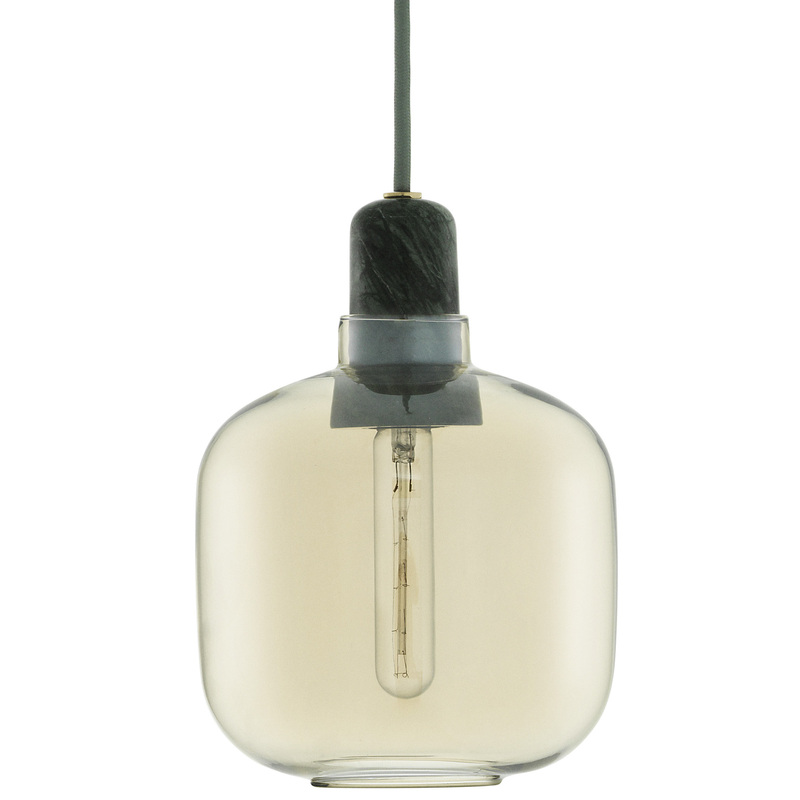 The decorative bulb emits a stunning glow through the glass lampshade, making a stunning contrast to the heavy marble. 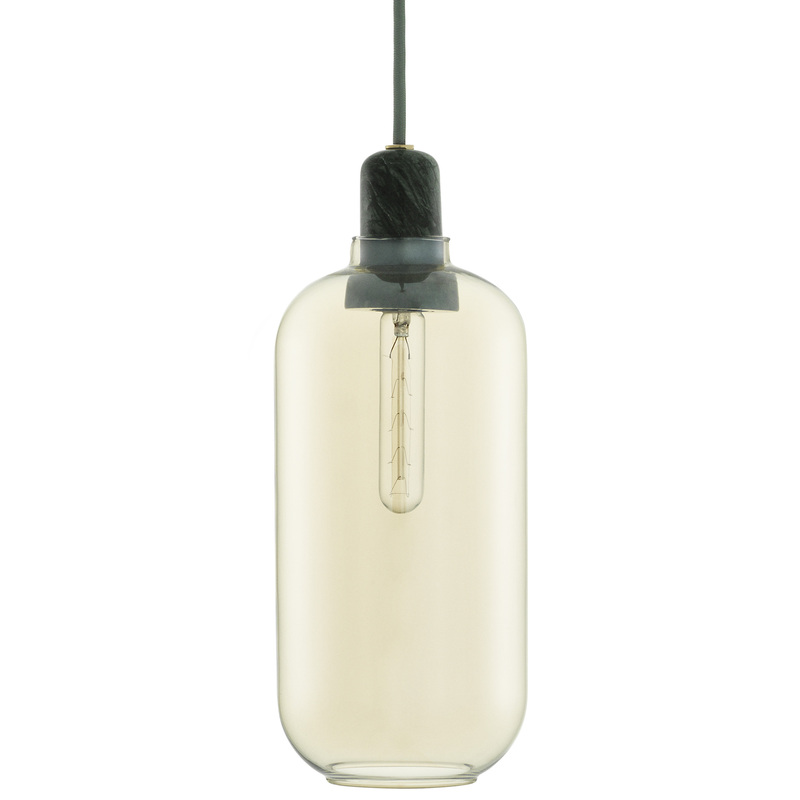 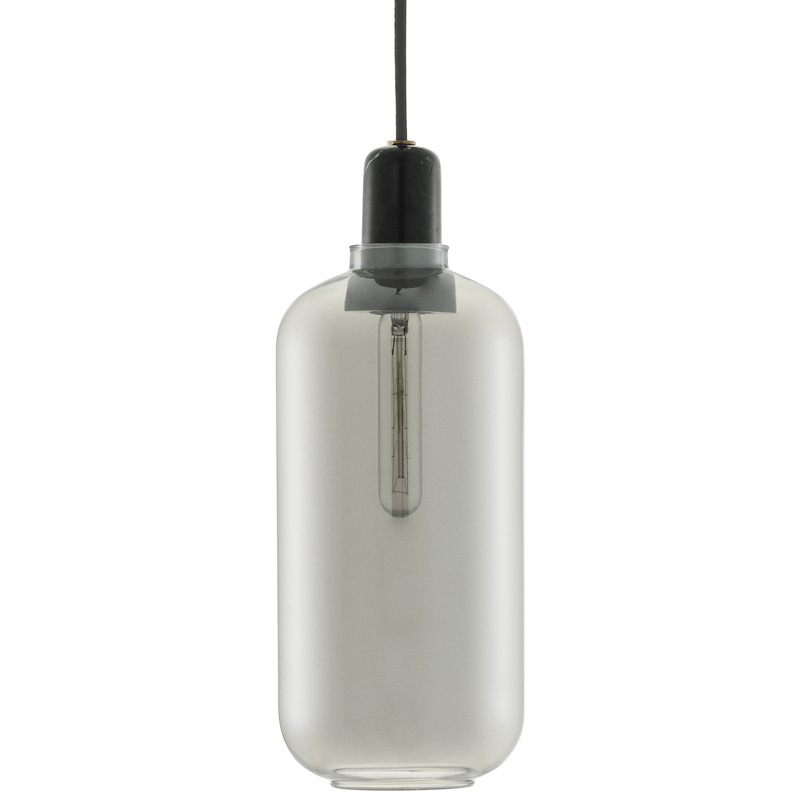 The transparent glass shade lets the light shine from the decorative light bulb in all directions. 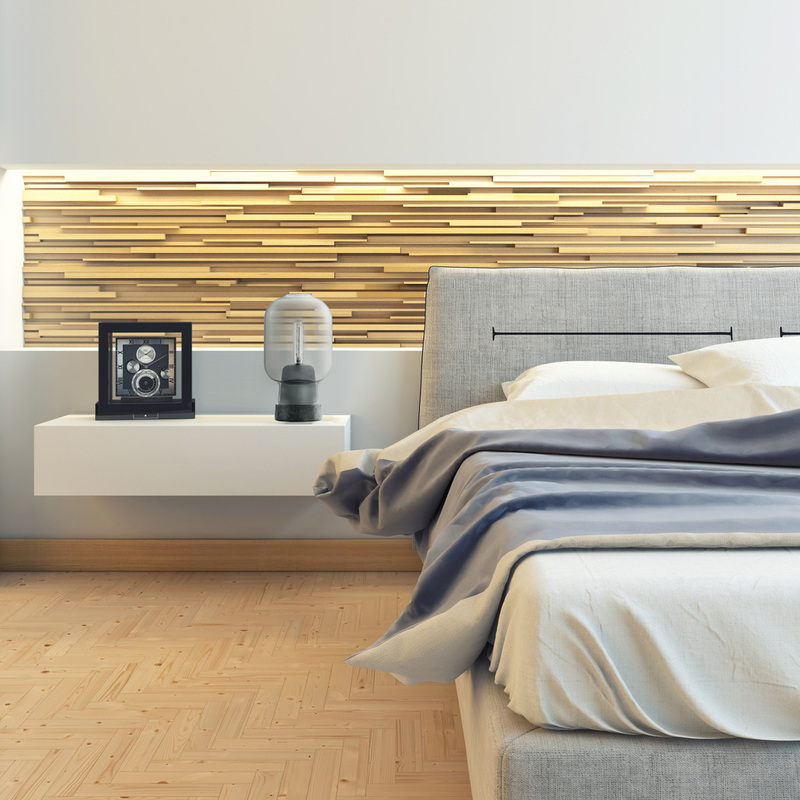 Amp takes up less space visually, allowing for many different applications in the home. 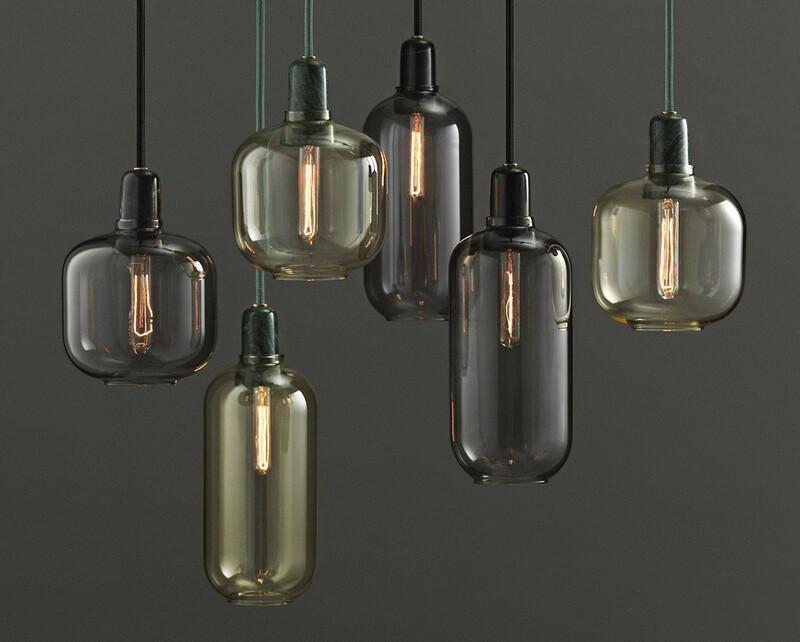 Hang one Amp Lamp in the hallway, in a corner of the living room, or create a cluster of Amp Lamps over your dining room table for modern ballroom effect. 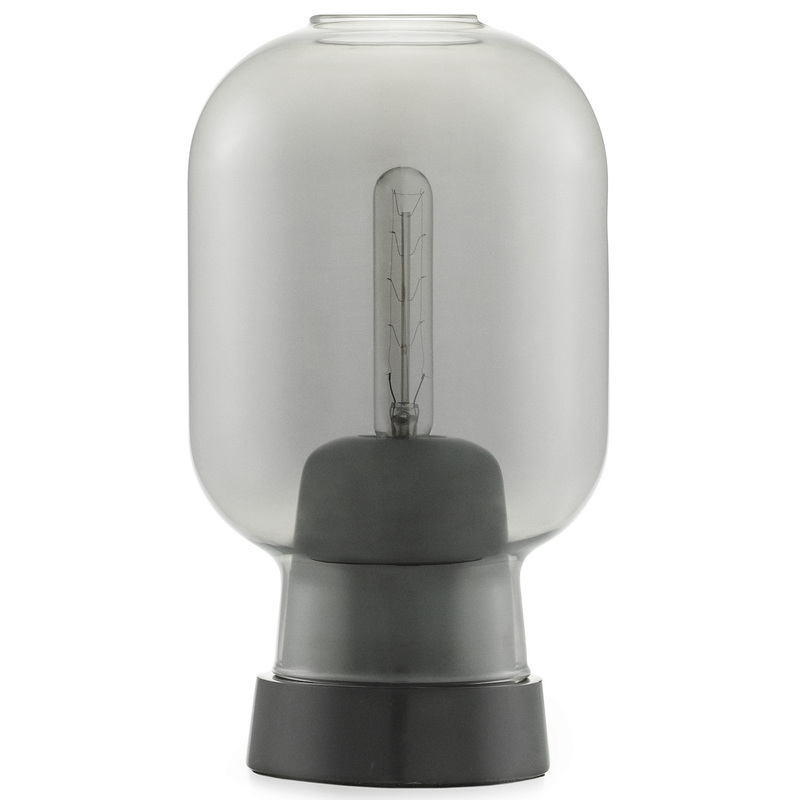 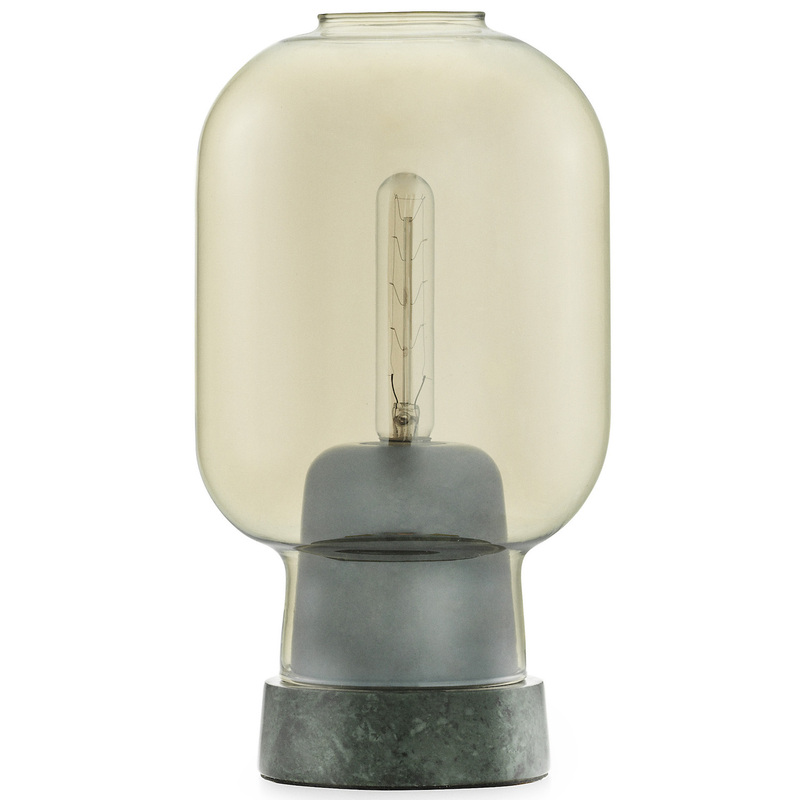 Amp table lamp will be perfect on a side table or near your bed.